One of the dilemmas of those who want to build a marketplace is what method to choose: out-of-the-box marketplace builder or custom solution. In this article, we want to focus on the platforms, that have achieved a market fit with SAAS builder and now need to move further and scale. Let’s see what to do in such a case. Today, the number of available marketplace builders is more than enough. Don’t get lost among them and grab the most advertised, but think hard about what you want to achieve at this moment. Focus on your needs, goals, and potential first, and then choose the best tool that will match your requirements. If you build MVP to test your product on market and gain the first user base. If you want to build a simple e-commerce or multi-vendor marketplace with basic out-of-the-box features like search, filtering, and comparison. Your marketplace won’t include any customized one-of-a-kind features, integrations, and monetization models. Mostly, SAAS builders are used for early-stage marketplaces, that want to test the product on the market. However, there are a lot of cases, when entrepreneurs build a marketplace with the help of ready-made solutions, but then their product grows, a number of users and purchases increases, and they find out that the platform no longer suits their business model. Let’s review these cases more deeply. Gain a market fit - this is definitely the most сherished dream of marketplace owners. What does it mean? This means that you understand the problems of your customers, you have found your target audience, your product brings you revenue, and your customers can easily tell its benefits. Usually, when you have validated your product, your users may require additional and customized for them features and integrations, especially when it comes to the multi-vendor marketplace. Marketplace app builders usually provide limited options, so you may not always customize your platform to the extent you need. For example, we, at Apiko, have received a request from car rental marketplace, that wanted to move from Sharetribe and create a custom marketplace app. The reason was that their marketplace “grew” out of the Sharetribe platform and they needed to rewrite it from scratch. When your project becomes bigger and your users require more personalized features, it may be difficult to implement them within a platform architecture. Before choosing SAAS builder or custom development, always ask about the limitations you may encounter during the customization of a marketplace built with SAAS. For example, besides the standard version Sharetribe offers an open-source self-hosted version of the platform you can customize and extend.. However, it doesn’t mean that you can include any features you want, as each architecture has its limitations. We have done a small research and prepared a short list of Sharetribe open-source version limitations. Sharetribe supports only one currency per marketplace. There is no option to help your users find products or services near them. The whole transaction process (including reviews) is connected to the payment process. So there is no review system to the non-monetary transactions. Sellers need to receive PayPal payments to get reviews from other members. It means that if you want to create a P2P marketplace with no payment gateway, users will not be able to leave reviews. No possibility to select % fee based on the customer group. The configuration allows setting only straight fee. No possibility to manage the calendar of service providers. Sharetribe has a responsive website, which works well on mobile devices. You can wrap its layout inside a native app. However, Sharetribe doesn’t offer official iPhone, Android, and other mobile apps. Sharetribe is not the only example like this. Remember to ask about all limitations no matter what marketplace builder you choose. In any case, when you build your marketplace app on a platform, you become dependent on its rules. If you want to build a highly scalable business, you should fully own your product and have a control over its all aspects. 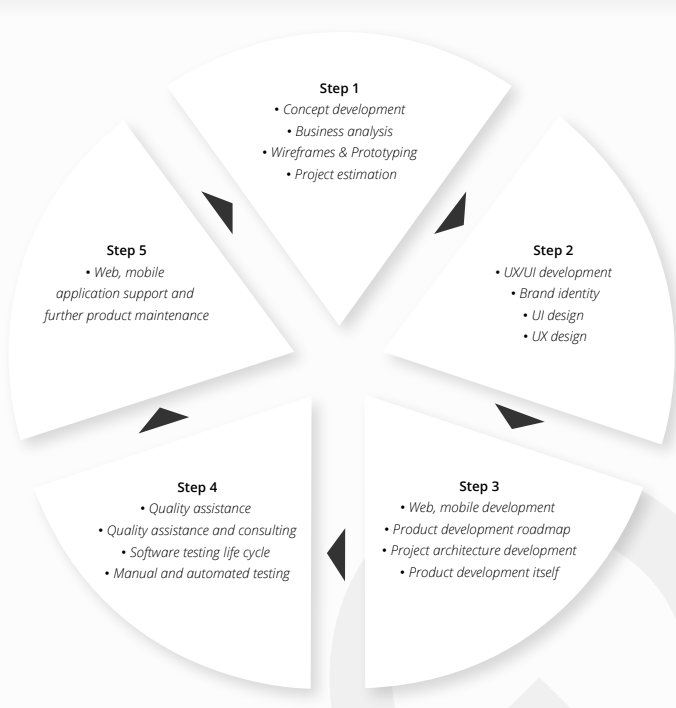 What are the benefits of custom development? Interested in how does this work at Apiko? Check out the article about our approach to marketplace development. During this stage, you get a market and target audience analysis, get assistance in competitors analysis and defining your value proposition. As a result, you get a detailed description of your target customers, their challenges, and goals. When all these are set, the wireframes or prototypes are created. Wireframing stage will help you to create a sketch of your product, define and improve its navigation and most crucial elements before it goes into production. It will help you to study each component of your marketplace and its influence on user experience. As a result, you win at getting feedbacks even before you push your product onto the market. A great way to eliminate risks and reach a market fit! With wireframes and detailed requirements “in the bag”, you will receive more exact project estimation. UX/UI services include research and analysis, user interface prototyping, UI design and development, and usability testing. It helps you to ensure that your product is easy and pleasant to interact with. Custom development includes constant performance, design, and functionality testing, as well as further maintenance of your marketplace website. The most important takeaway from this article is to think twice before deciding the best way to create an online marketplace. When choosing a ready-made solution, research everything about it and find out whether it will suit your needs when your product will scale. If you build a marketplace with unique features and business model, it is better to decide on custom development, which gives you more freedom and confidence in the product you own.